Do you feel physically and/or emotionally drained? Do you feel as though you have no purpose in life? Do wish that you had a better quality of relationships in your life?If you’ve answered Yes to any one of these questions then this may verywell be the most important letter you ever read because I’ll be sharing with you three simple but powerful secrets that will change your life forever. “Read it. Read it again. Underline and highlight. “When Yanni speaks in person, he radiates a gentle quietness that is iimmediately recognizable. Reading Magical Keys is a lot like speaking with him. From the pages of his book you’ll get some of the same profound stillness. Who Am I And Why You Should Listen To What I Have To Say? My name is Yanni Maniates and I was raised in a very rambunctious, noisy southern-Mediterranean family. Everyone figured that the more noise and drama tere was, the better things would be! Worrying about everything was our primary amusement. In those days I felt a complete lack of focus or desire in my life. I knew I had a purpose to fulfill but I had no idea what it was or how it was supposed to come to fruition. And the more I thought about it, the more confused I became. It was a viscous cycle of thoughts racing through my mind that were getting me absolutely NOWHERE. I realized that if I didn’t find a way to calm down and become less stressed out that I wouldn’t live a very happy or long life. So, one day I decided to break out of the old mold. Since it was in the 1960’s, all kinds of gurus from the East were available with various forms of Meditation and Self-Mastery techniques. So, I began my search in fertile ground. Within a few years I had found a couple of techniques that suited me best and I was happily meditating and feeling a lot less stressed. But what I learned was very a very tiny piece of the puzzle. It wasn’t until I discovered the first secret that I want to share with you today and what to do about it, that I began experiencing outstanding results in my life. True success and happiness comes when you are at peace spiritually, emotionally, physically, financially and mentally. If any of those elements are missing, you will experience something known as call a spiritual imbalance. And when it happens, you will forever feel a void within that can begin affecting you in more ways than you can imagine. This spiritual imbalance is literally what separates those who experience success on all levels from those who work hard, pay their dues and still fail miserably. Now realize that when I say failure, I’m not just talking about the act of not achieving a goal. I’m also talking about the feeling of being a failure. Because let’s face it; your reality is nothing more than your perceived reality. So if you FEEL like a failure, you are, no matter what great results you may have achieved in life. This is often why we see people who seem to “have it all” like Hollywood celebrities or professional athletes who are constantly ruining their lives through the use of drugs, alcohol or anything else that they feel will mask the pain represented by the imbalance within them. Haven’t you ever come across a person – who in your mind has everything anyone could ever ask for – but feels unfulfilled or as though they are a failure? what they have achieved in life – be it fame, fortune, stardom, wealth, etc. But what is occurring here are the effects of spiritual imbalance. The void begins to take hold of the mind and they literally start creating a dark reality for themselves. matter how hard you try? Is there one area – that you wish for just a second – could come as easy to you as it does for others? Are you beginning to think that maybe you’re “cursed” or that the Universe is working against you in this particular area for whatever reason? Well I’m here to tell you that you can achieve success in EVERY single area of your life. You just have to know how to solve the problem. The second secret that I want to share with you today has to do with miracles. A miracle is defined as an unexpected event that takes place as a result of divine intervention. Or maybe there was a point in your life where nothing seemed like it was going right and suddenly soaring out of the blue all these great things began to happen to you. You may have called these things, miracles or good luck. You may have attributed them to nothing more than mere chance, but the reality is that beneath the surface, something extremely fascinating and powerful is taking place. You see whether you realize it or not your reality or what you experience in your reality is nothing more than what you perceive reality to be. Therefore, the key to experiencing a life of joy, happiness and fulfillment lies within. It lies in being able to change your mind and your belief system. This certainly may not be news to you and I’m sure you’ve heard countless people tell you this. But what they haven’t told you is HOW you actually accomplish this goal. And that’s what I want to share in the third secret. Secret number three has to do with the most effective thing you can do to clear your mind; it’s called Meditation. Now I know you may have heard of Meditation before, but you should realize (as I did) that Meditation is more than simply learning to relax. Meditation is an incredibly profound system that helps you to totally change the way you view yourself and the world and, therefore, it radically impacts how you experience the world. Mediation is like an “owner’s manual” for your mind. It teaches you the importance of being aware of the workings of your mind and then helps you learn how to master your thoughts and feelings so you can actually become empowered to pick and choose what you think and feel and, as a result, pick and choose what you experience in your life. Until you gain complete spiritual balance you will forever feel stuck in certain areas of your life which will cause a feeling of emptiness inside. Until you begin to change your thought processes and give your mind what it needs, you won’t be able to solve this problem. Without meditation, you can’t accomplish what I just mentioned. While they may sound extremely simple, these 3 secrets that I have just shared with you basically encompass everything you ever need to know about attaining true spiritual Oneness with the Universe which will help you feel less stressed and anxious and more happy and empowered all at the same time. Even though what I’ve shared with you is simple, it’s not easy for many people. You see, there’s a big difference between something being simple and something being easy. Simple means the concept isn’t hard to understand. Easy means the concept can be applied with minimal effort. And the truth is… meditation can be HARD work for some people. Try telling someone who just lost their job or just came out of a long relationship to try to quiet their mind. It’s extremely challenging. Knowing this, I set out on a life mission many years ago to create a system that could serve as a universal resource that ANYONE could use to master the art of mediation and begin manifesting miracles in their life simple AND easily. And now, after years of research, practice, dedication and experience I’m happy to say that system is finally here. The Unique Power Within – Here you’ll discover the key to utilizing the individual power that resides within you personally. The Power Of Visualization – One of the main elements involved in utilizing the law of attraction is the ability to visualize the way you want your future to look. Here you will learn a how to effectively leverage the power of visualization. The Key To The Opening Process – In order for the manifesting process to be effective, you must be open to receiving what the universe provides. Achieving Internal Happiness – Here you’ll discover how you can find true happiness within regardless of what your external world looks like at all times and never take anything for granted. Everyday Manifestation – Discover the secret to ensuring that every day of your life starts out in the right direction. Creating Universal Response – Here you’ll discover exactly how you can create the response from the universe that you desire every single time. Manifesting Miracles In Relationships – Here I’ll show you how to attract everything you’ve ever wanted in terms of relationships into your life. The Role Of Self Reflection – Your view of yourself or your self reflection is extremely important in the manifesting process. Here I’ll show you how to ensure your outlook remains positive. Overcoming Personality Obstacles – Manifesting miracles will at times involve dealing with difficult people. Here I’ll show you how to overcome any obstacles that you may come across so that the desired outcome always takes place regardless of who’s involved. Paradigm Shift To Attract Money – Discover a powerful secret to using your perspective on life to attract more money into it. The Key To Constant Happiness – Just because you have everything you’ve ever wanted in life doesn’t necessarily mean that you will always be happy. Here you’ll discover exactly how to do just that. The Secret To Everyday Success – Learn a special technique to ensure every day is a successful and happy one. The Importance Of Stillness – Discover the power of gaining complete oneness with the universe and clearing your mind. The Keys to Relaxing and Managing Stress – Effortlessly release the debilitating effects of Stress. Use These Techniques With Your Family and Children – Examples of how to incorporate these techniques into the core of your life. Learn to “Listen” to the Wisdom Within You – Access the “still, small voice within” where all your Wisdom resides. 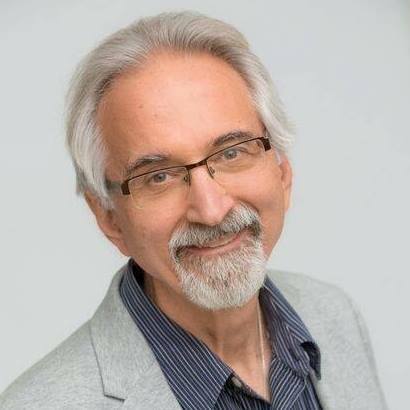 “Magical Keys to Self Mastery is a simple, yet elegant, clear, easy to read and understand guide to bringing the joys of meditation, intuition and the “path of the heart” into your life and into the life of your loved ones and children. Few have the wisdom and gentle ways that distinguish Yanni Maniates. “Yanni has penned a simple yet insightful masterpiece that covers more than the 1-2-3s of meditation. Marie, award-winning author of Be the Hero of Your Own Game. help you do so, what will you do next? answer to this question should be to take action. take your life to the next level, you must act and not wait. to act as easy as humanly possible for you, by doing just a few things. before you decide if you want to keep it. My Absolutely Can’t Fail You, Unconditional, Completely Risk-Free, No Questions Asked, 60 Day Money Back Guarantee. Go Ahead And Order “The Magical Keys To Self Mastery” Program. Download The Electronic Manual As Well As The 3 Hour Recording And All The Bonuses And Let The Door To Your New Life Open. If You’re Not Absolutely Convinced That It Will Change Your Life For The Better And If It Isn’t Everything I Say It Is And More, Then I Don’t Want You To Pay For It. Just Contact My Support Team And We’ll Send You A Refund, No Questions Asked. All The Risk Is Now Gone Because I’m The One Taking The Chance Here. The second thing I’m going to do is make this program extremely affordable to own. When I think about what most people can afford I think about what most people spend their money on each day, week or month. The answers I come up with are cable TV service ($50 a month), cell phone service ($100 a month) and trips to the local coffee shop ($100 a month). What that tells me is that most people can easily afford to spend around $100 per month on things that they want, even things that may not necessarily change their life…. This program WILL beyond a shadow of a doubt change your life, but you won’t pay $100 a month for it. Better than that, you won’t even make a one-time payment of $100 for it. In fact, you won’t even make a one-time payment of $50 for it. Instead, I’m going to offer at this life changing program to you today for just $47, $37. Listen, you and I both know that in order for any of this to work you have to take action. And the first step is to actually make the investment to change your life by owning The Magical Keys To Self Mastery program today. And it’s no secret that most people take action when the offer is simply irresistible. you’ll emerge with a glorious new perspective. Russian and Romanian editions will be available soon. 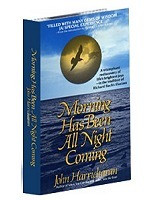 The amazing sequel to “When You Can Walk on Water, Take the Boat” is “Morning Has Been All Night Coming” by John Harricharan. 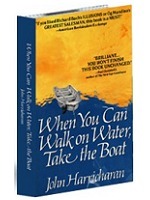 The “Waterbook” saga continues as we are shown how to cope with and overcome the most serious challenges life can offer. Truly inspirational… A life changing read! 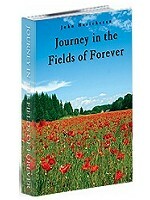 The inspiring conclusion, “Journey in the Fields of Forever,” is the third (and last) book in John Harricharan’s phenomenal “Waterbook” trilogy. This volume has become a favorite of many “Waterbook” fans. You won’t want to miss this concluding episode. This global best-seller reveals the all-time greatest secret for producing money in your life. The stories are inspiring. The method works. They don’t involve any of your usual thoughts about money. This one will open your heart and turn you into a magnet for more money now! Introduction by John Harricharan. Discover The Single, Little-Known But Incredibly Powerful Key Used By The Most Successful Entrepreneurs on the Planet to Unlock The Door to an Overflowing Cache of Wealth, Abundance, and Success! That’s a total combined value of $120.72 yours today for only $27. 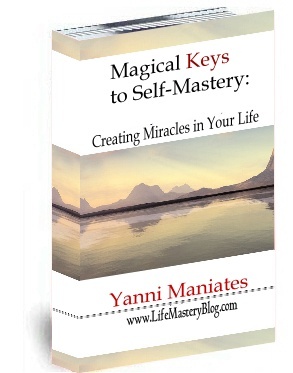 Own The Magical Keys To Self Mastery today and let it transform your life just as it has for countless others. Do wish that you had a better quality of relationships in your life? Your time to live the life you’ve always wanted is here. It is right now. All you need to do is seize it! There’s no need to wait any longer, order now and take the first step to changing your life for the better! 2) I have recorded “Magical Keys” for your listening pleasure. So, you get the almost 3 hour recording of the Magical Keys book in MP3 format. 3) Additionally, I have recorded Four Guided Meditations for you based on Meditation exercises that I have outlined in the book. These recordings provide you with 46 minutes of Guided Meditations. 4) And as a further bonus I have added a 35 page Meditation booklet in PDF format that includes the entire text of the Guided Meditations. 5) As well, there is the audio recording of a 48 minute presentation Meditation—A Way to Become Physically, Mentally and Metaphysically Fit that describes in detail the physiological and psychological benefits of Meditation. This answers a lot of the questions that my students have posed to me over the years. Plus I have added one of my very popular full-length Meditation CDs in MP3 format to the package! The cost for the “Magical Keys” package is only $37 $27! Just so you know, you’ll be able to listen to all these audio files on your computer or download them and make CDs for listening while you are in your car. You might even want to download them to an iPod or other mp3 listening device so you can enjoy them at your convenience. The choice is yours. Now I’ve done my part. I’ve done the research and came up with a winning formula that I KNOW will change your life forever. Own The Magical Keys To Self Mastery program today, and in as little as a few hours you can begin putting your new found knowledge to work………. and change your life. how simple it was to do. This is the opportunity you have been waiting for. of your purchase and you’ll be given a courteous, prompt refund. immediately after you purchase, even if it’s 2:00 o’clock in the morning.